Oh Hey There! : How to Get Some Shape and Definition to Curls. For some reason until a few weeks ago I always underestimated trying to manipulate and shape my curls just using my hands. I don't know why it has taken me so long to realised that changing the direction that my curls go can make a big difference. My curls at the front of my head sort of curl backwards away from my face, making them stand up and out, making my hair have little shape at the front. 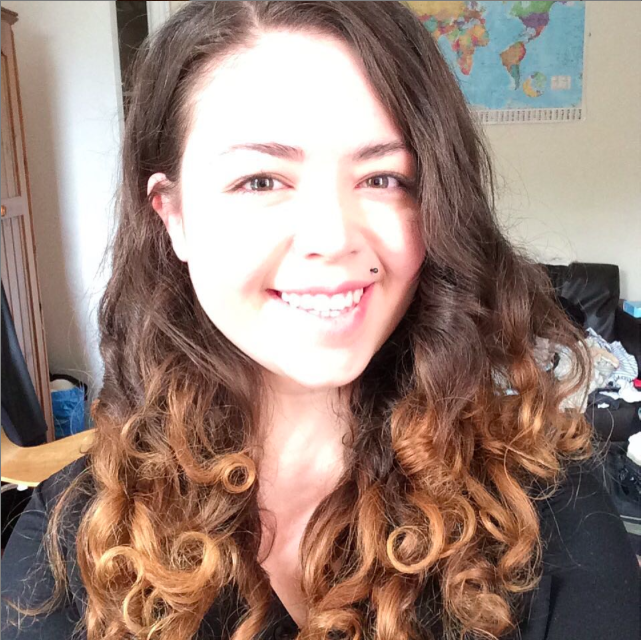 I always thought that I needed product or heat to try and get my curls to hang down but when I looked closer I realised it was because the direction the curl was going from the root was towards the back of my head, kind of like a quiff. So no wonder my hair was sticking up. But it is really easy to change. It's kind of like a mini twist out. I just apply my normal product to wet hair as I would usually. I then brush the sections of hair and twist my hair in sections (however big I want the curl to be) in the direction I wan't it to go. In this case I twist inwards, towards my nose. And Voila! My curls actually hang, rather than float, around my face. This may seem like a very small thing (it probably also seems very obvious) but it has actually made a lot of difference to the shape of my hair and overall look. For me the lesson here is not looking closely enough at my hair. I shouldn't, but I often just look at it as a big problematic mess (this is changing, I swear!) and don't realise that a lot of my hair is great and that rather than one big problematic mess, I actually just have a few difficult areas. Pinpointing these spots is pretty easy to do it just takes some close level observation, even just inspecting how spread out the hairs on your head (density) are can really help.